Soft Rose. 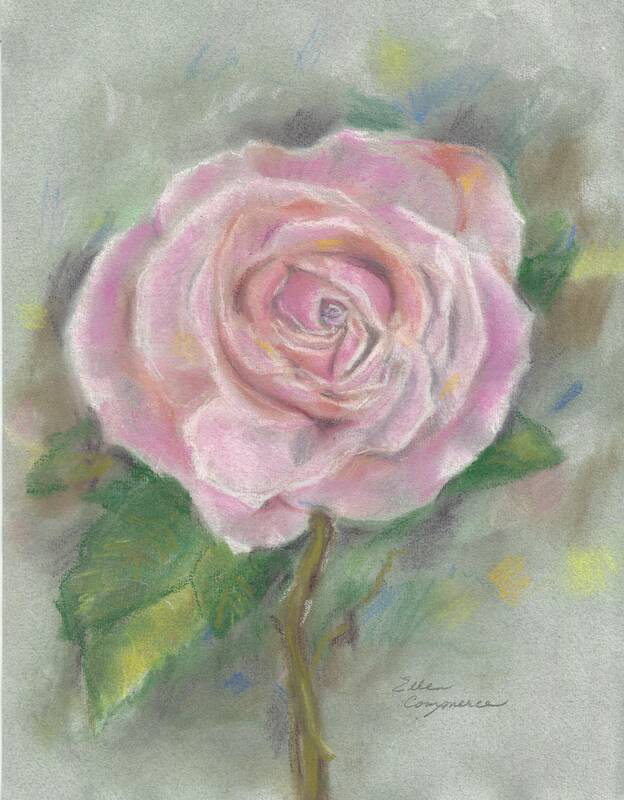 8.5x11" original, signed painting of a single rose highlighted with muted background blends. A tribute to the subtle myriad colors that surround us while one beautiful creation captures our attention. Fine pastels on acid-free Canson Mi Teintes pastel drawing paper. Lightly "fixed" for shipping, but to avoid smearing, is intended to be matted and framed under glass.